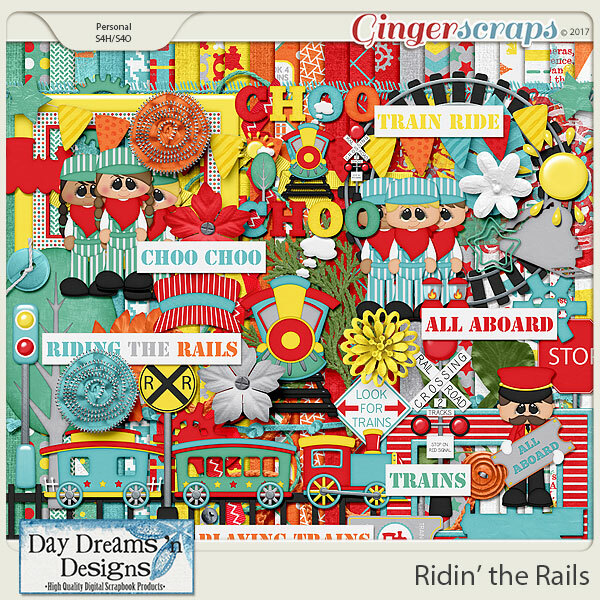 Isn't it most children’s dream to be the conductor or engineer on a train? 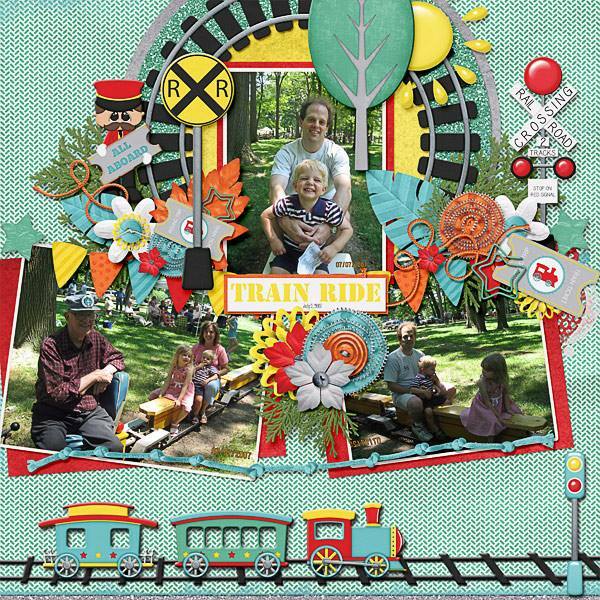 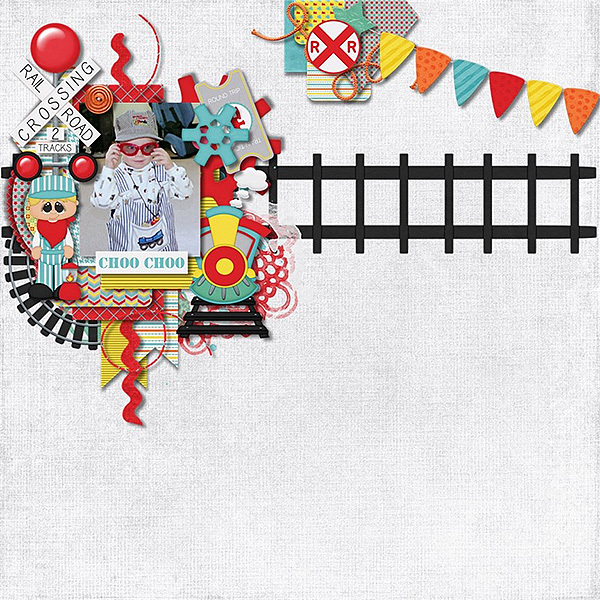 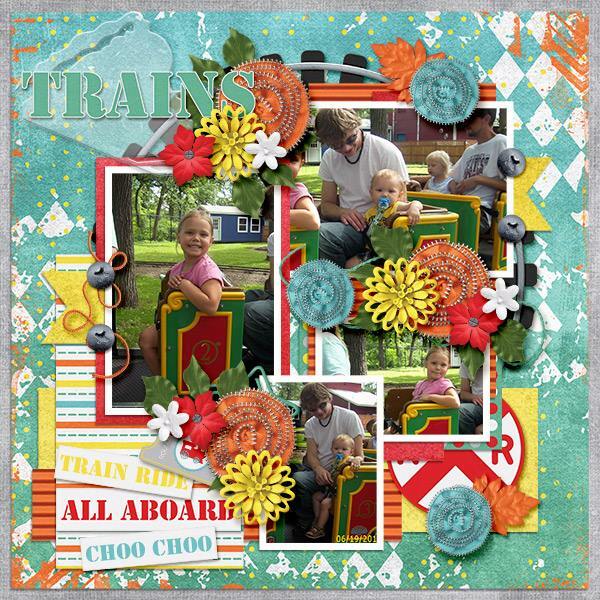 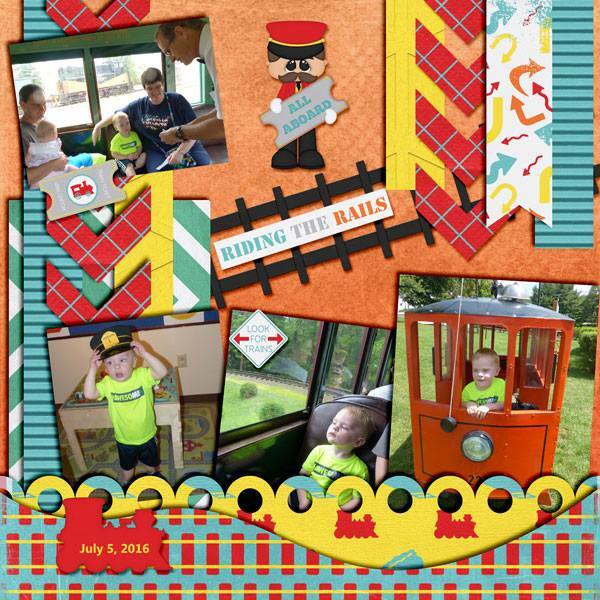 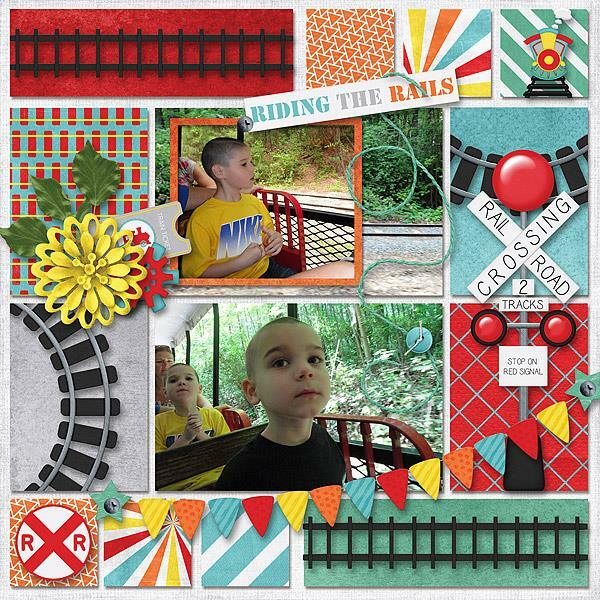 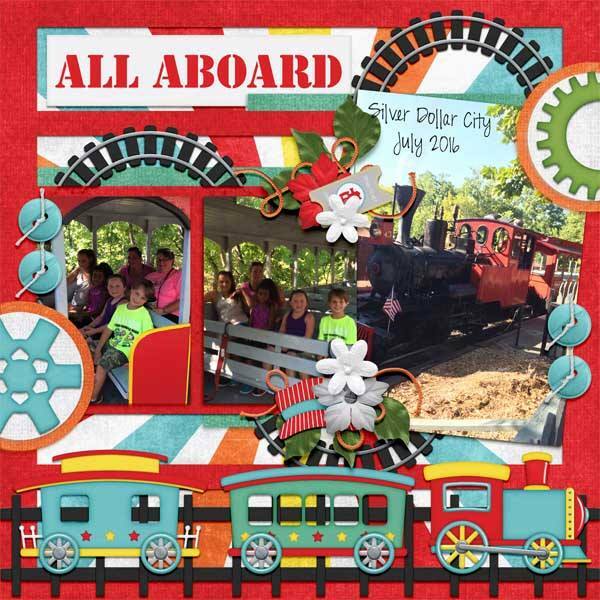 Whether you are scrapbooking an actual rail adventure or recapturing moments with ‘box’ trains, you will love Riding the Rails engineers, conductor and trains galore. 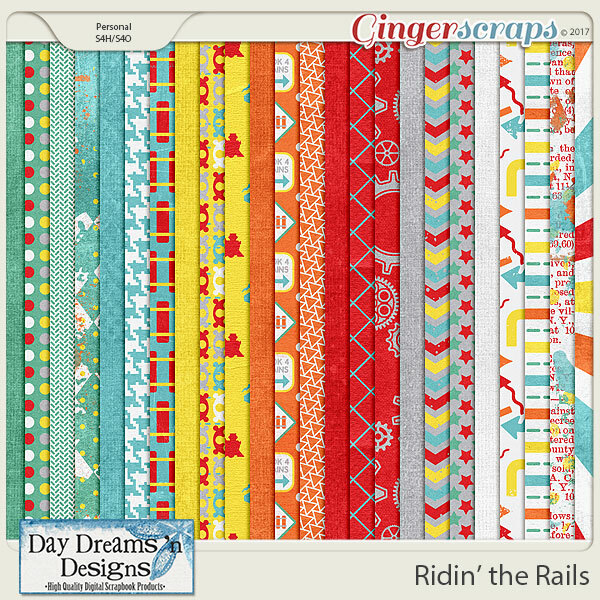 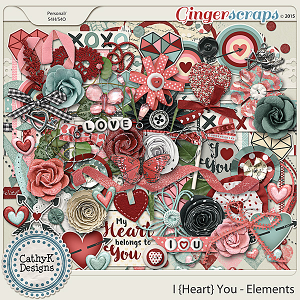 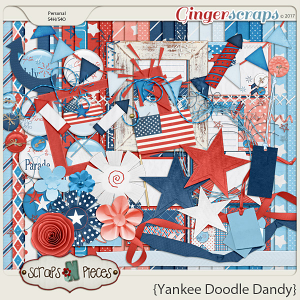 In baby blue, riotous red, yipee yellow and outrageous orange this kit will have you calling “All Aboard” for the next train out.